This April edition contains a special issue celebrating 50 years of the first IEEE Particle Accelerator Conference. This excellent suite of papers is a useful archival record of the technological advances of this community. Below are two papers illustrating the applications of accelerators which provide significant beneficial societal impact. Featured Stories two and three below represent applications to the medical field and highlight advances in accelerators for radiation therapy both in humans and in animals. The veterinary oncology paper also highlights the strong research component benefitting both veterinary and human medicine. "Developments in Accelerators Used for Particle Therapy"
"The Impact of a Clinical Electron Accelerator on the Advancement of Veterinary Oncology and Translational Cancer Research "
Scintillation Characterizations of Tin Doped Lithium Iodide Crystals at Room and Low Temperature . 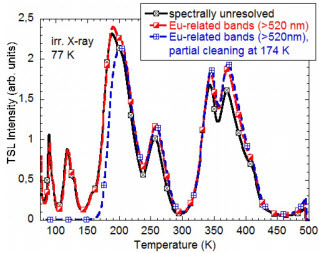 . . . . . . . . . . . . . . . . . . . . . . . . . . . . . . . . . .
Growth and Luminescence Properties of Eu:SrI2 Single Crystals Prepared by Modified Micro-Pulling-Down Method . . . . . . . . . . . . . . . . . . . . . .
Growth of 1.5 inch Eu:SrI2 Single Crystal and Scintillation Properties . . . . . . . . . . . . . . . . . . . . . . . . . . . . . . . . . . . . . . . . . . . . . . . . . . . . . . . . . . . . . Fabrication and X-Ray Excited Luminescence of Ga- and In-Doped ZnO Nanorods . . . . . . . . . . . . . . . . . . . . . . . . . . . . . . . . . . . . . . . . . . . . . . . . . Measurement of LYSO Intrinsic Light Yield Using Electron Excitation . . . . . . . . . . . . . . . . . . . . . . . . . . . . . . . . . . . . . . . . . . . . . . . . . . . . . . . . . . . . Effects of Air Annealing on Luminescent Properties of Cerium-doped Lutetium Oxyorthosilicate Scintillation Ceramics . . . . . . . . . . . . . . . . . . . . Single Crystal Growth of Cerium and Praseodymium Doped YCa4O(BO3)3 Scintillator by Micro-Pulling Down Method . . . . . . . . . . . . . . . . . . .
Lithium Alkaline Halides—Next Generation of Dual Mode Scintillators . . . . . . . . . . . . . . . . . . . . . . . . . . . . . . . . . . . . . . . . . . . . . . . . . . . . . . . . . .
Scintillating Screens Based on the Single Crystalline Films of Multicomponent Garnets: New Achievements and Possibilities . . . . . . . . . . . . .
Energy Resolution and Temperature Dependence of Ce:GAGG Coupled to 3 mm × 3 mm Silicon Photomultipliers . . . . . . . . . . . . . . . . . . . . . . .
Cs2LiLa(Br, Cl)6 Crystals for Nuclear Security Applications . . . . . . . . . . . . . . . . . . . . . . . . . . . . . . . . . . . . . . . . . . . . . . . . . . . . . . . . . . . . . . . . . .
An APD for the Detection of the Fast Scintillation Component of BaF2 . . . . . . . . . . . . . . . . . . . . . . . . . . . . . . . . . . . . . . . . . . . . . . . . . . . . . . . . Features of Different Inorganic Scintillators Used in Neutron-Radiation Systems for Illegal Substance Detection . . . . . . . . . . . . . . . . . . . . . . .
Limits of Inorganic Scintillating Materials to Operate in a High Dose Rate Environment at Future Collider Experiments . . . . . . . . . . . . . . . . . .
New Start of Lead Tungstate Crystal Production for High-Energy Physics Experiments . . . . . . . . . . . . . . . . . . . . . . . . . . . . . . . . . . . . . . . . . . . . .
Space-Time Development of Electromagnetic and Hadronic Showers and Perspectives for Novel Calorimetric Techniques . . . . . . . . . . . . . . . . . Radiation Tolerance of LuAG:Ce and YAG:Ce Crystals under High Levels of Gamma- and Proton-Irradiation . . . . . . . . . . . . . . . . . . . . . . . . . . . . Precision Timing Calorimeter for High Energy Physics . . . . . . . . . . . . . . . . . . . . . . . . . . . . . . . . . . . . . . . . . . . . . . . . . . . . . . . . . . . . . . . . . . . . . . . Architecture and Implementation of OpenPET Firmware and Embedded Software . . . . . . . . . . . . . . . . . . . . . . . . . . . . . . . . . . . . . . . . . . . . . . . . . .
Radioactive Contamination Estimation by Airborne Survey Based NaI Detectors . . . . . . . . . . . . . . . . . . . . . . . . . . . . . . . . . . . . . . . . . . . . . . . . . . . . Alternative Geometries for Improved Light Output of Inorganic Scintillating Crystals . . . . . . . . . . . . . . . . . . . . . . . . . . . . . . . . . . . . . . . . . . . . . . . . Integrated Semiconductor Quantum Dot Scintillation Detector: Ultimate Limit for Speed and Light Yield . 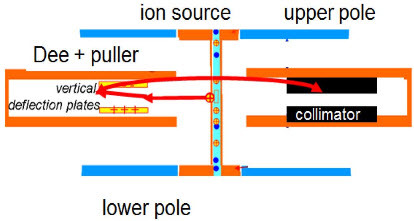 . . . . . . . . . . . . . . . . . . . . . . . . . . . . . . . .
Scintillator-Based High-Throughput Fast Timing Spectroscopy for Real-Time Range Verification in Particle Therapy . . . . . . . . . . . . . . . . . . . . . . Single Side Readout Depth of Interaction Method with Wavelength Discrimination . . . . . . . . . . . . . . . . . . . . . . . . . . . . . . . . . . . . . . . . . . . . . . . . . .
2016 Special Issue Dedicated to Particle Accelerators Comments by the Editors . . . . . . . . . . . . . . . . . . . . . . . . . . . . . . . . . . . . . . . . . . . . . . . . . .
Optimal Radio-Frequency Power Distribution in a Linear Accelerator Using Beam Energy Measurements . . . . . . . . . . . . . . . . . . . . . . . . . . . . . . Towards a Practical Multi-Meter Long Dielectric Wakefield Accelerator: Problems and Solutions . . . . . . . . . . . . . . . . . . . . . . . . . . . . . . . . . . . . . .
Electromagnetic Wave Excitation, Propagation and Absorption in High Current Storage Rings . . . . . . . . . . . . . . . . . . . . . . . . . . . . . . . . . . . . . . . .
Simulation of Crab Waist Collisions in DAΦNE with KLOE-2 Interaction Region . . . . . . . . . . . . . . . . . . . . . . . . . . . . . . . . . . . . . . . . . . . . . . . . . . . . .
An Iterative Learning Control Approach for Radio Frequency Pulse Compressor Amplitude and Phase Modulation . . . . . . . . . . . . . . . . . . . . . . .
A Multi-Pinhole Faraday Cup Device for Measurement of Discrete Charge Distribution of Heavy and Light Ions . . . . . . . . . . . . . . . . . . . . . . . . . .
Interaction Chamber Design for an Energy Continuously Tunable Sub-Mev Laser-Compton Gamma-Ray Source . . . . . . . . . . . . . . . . . . . . . . . . Using Emittance Partitioning Instead of a Laser Heater to Suppress the Microbunch Instability . . . . . . . . . . . . . . . . . . . . . . . . . . . . . . . . . . . . . . . The Impact of a Clinical Electron Accelerator on the Advancement of Veterinary Oncology and Translational Cancer Research . . . . . . . . . . . .
Beam Tests of Beampipe Coatings for Electron Cloud Mitigation in Fermilab Main Injector . . . . . . . . . . . . . . . . . . . . . . . . . . . . . . . . . . . . . . . . . . .
Beam Dynamics for High-Power Superconducting Heavy-Ion Linear Accelerator of RAON . . . . . . . . . . . . . . . . . . . . . . . . . . . . . . . . . . . . . . . . . . . .
JRTF: A Flexible Software Framework for Real-Time Control in Magnetic Confinement Nuclear Fusion Experiments . . . . . . . . . . . . . . . . . . . . . . .
An Investigation of the Use of Inverse-Mode SiGe HBTs as Switching Pairs for SET-Mitigated RF Mixers . 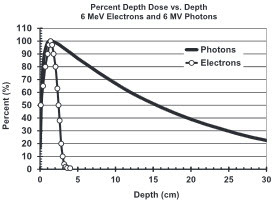 . . . . . . . . . . . . . . . . . . . . . . . . . . . . . .
Validation of Cross Sections for Monte Carlo Simulation of the Photoelectric Effect . . . . . . . . . . . . . . . . . . . . . . . . . . . . . . . . . . . . . . . . . . . . . . . . Sparse Approximation-Based Maximum Likelihood Approach for Estimation of Radiological Source Terms . . . . . . . . . . . . . . . . . . . . . . . . . . . .
An Effective Multilevel Offset Correction Technique for Single Photon Counting Pixel Detectors . . . . . . . . . . . . . . . . . . . . . . . . . . . . . . . . . . . . . . Experimental Validation of Charge-Sensitive Amplifier Configuration that Compensates for Detector Capacitance . . . . . . . . . . . . . . . . . . . . . .
A Comparison of the Detection Sensitivity of the Poisson Clutter Split and Region of Interest Algorithms on theRadMAP Mobile System . . . . . . .
Capture-Gated Spectroscopic Measurements of Monoenergetic Neutrons with a Composite Scintillation Detector . . . . . . . . . . . . . . . . . . . . . . .
Investigation of Spatial Control Strategies for AHWR: A Comparative Study . . . . . . . . . . . . . . . . . . . . . . . . . . . . . . . . . . . . . . . . . . . . . . . . . . . . . . .
Impact of Bias Conditions on Total Ionizing Dose Effects of 60Coγ in SiGe HBT . . . . . . . . . . . . . . . . . . . . . . . . . . . . . . . . . . . . . . . . . . . . . . . . . .
Characterizing Radiation and Stress-Induced Degradation in an Embedded Split-Gate NOR Flash Memory . . . . . . . . . . . . . . . . . . . . . . . . . . . . Leakage Current of Grounded Dielectrics in Electron Radiation as a Diagnostic Method to Evaluate the Deep Charging Hazards in Space . . . . .
Commissioning and Field Tests of a Van-Mounted System for the Detection of Radioactive Sources and Special Nuclear Material . . . . . . . . . . . .